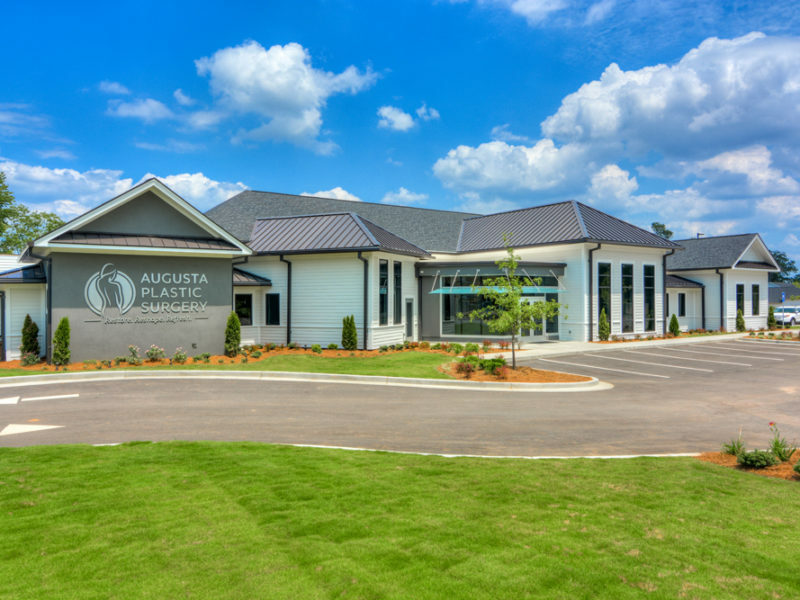 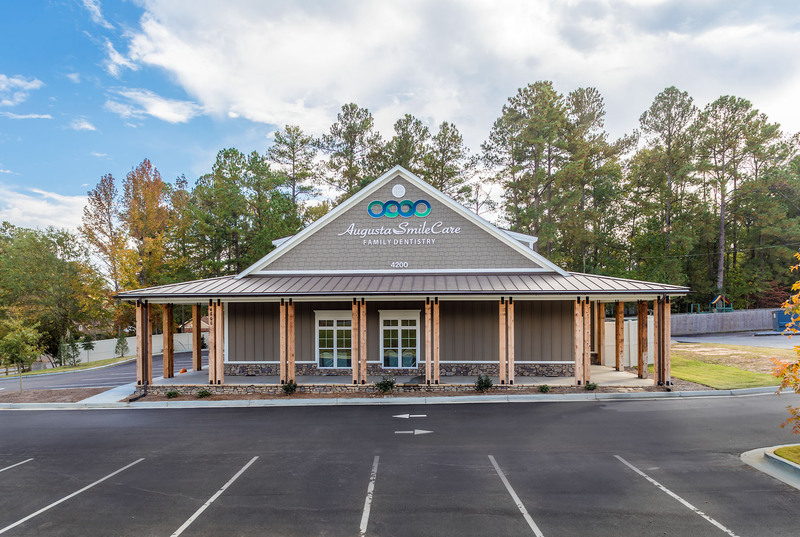 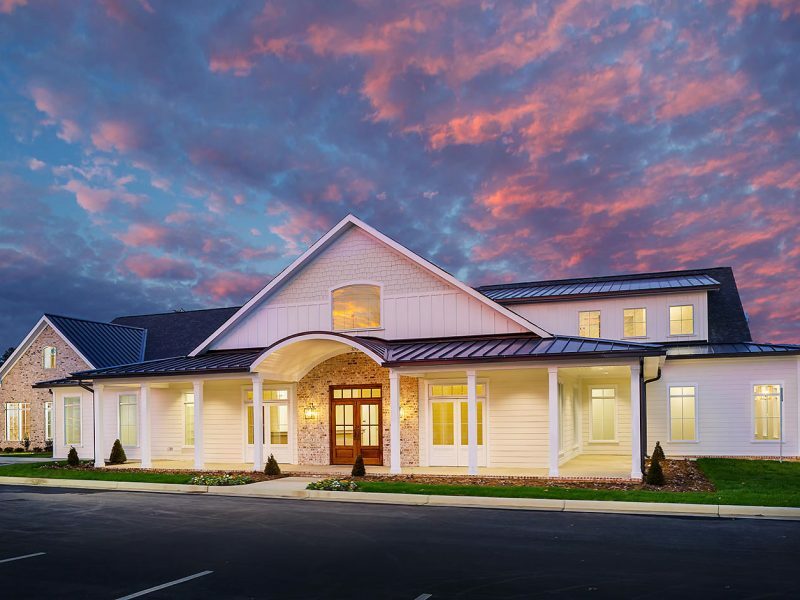 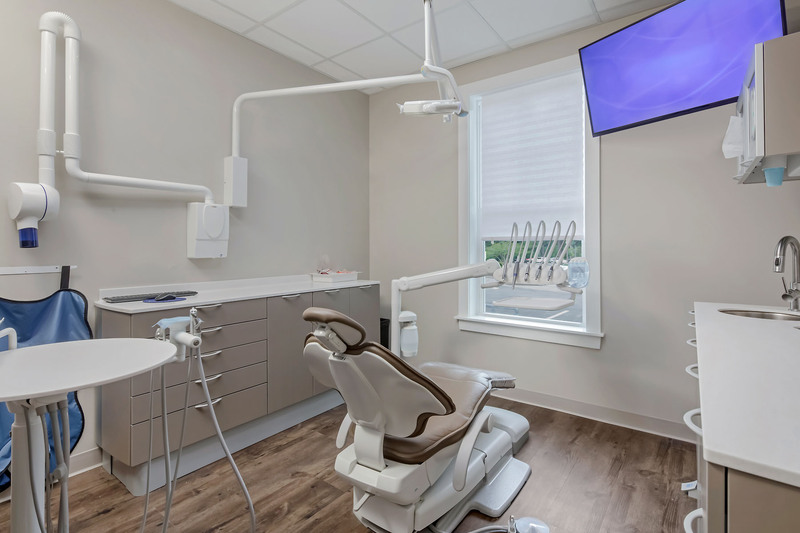 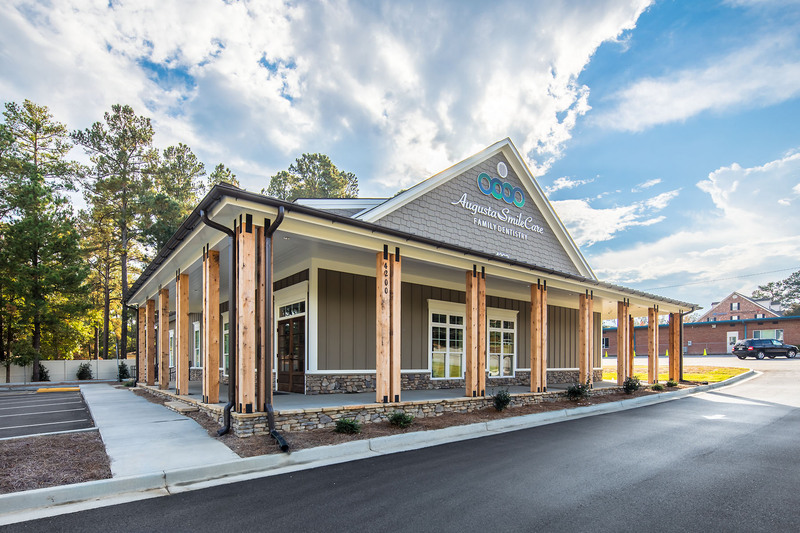 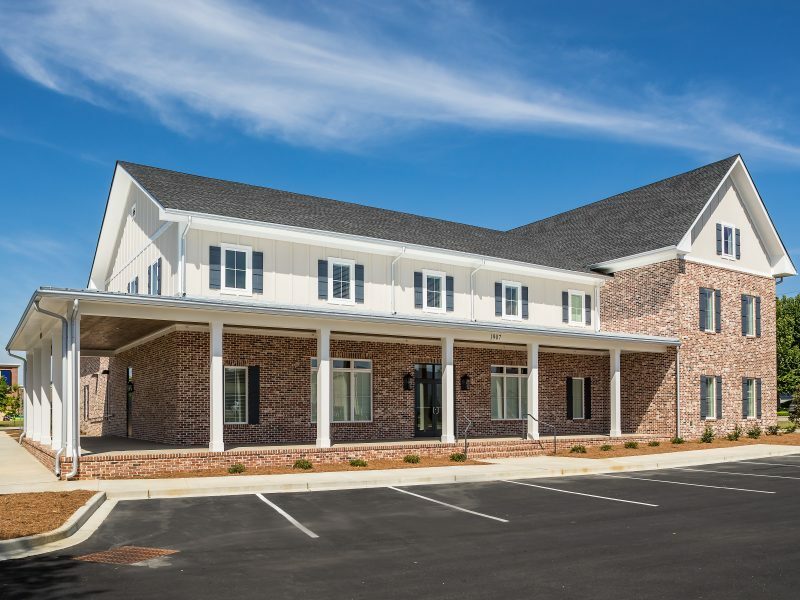 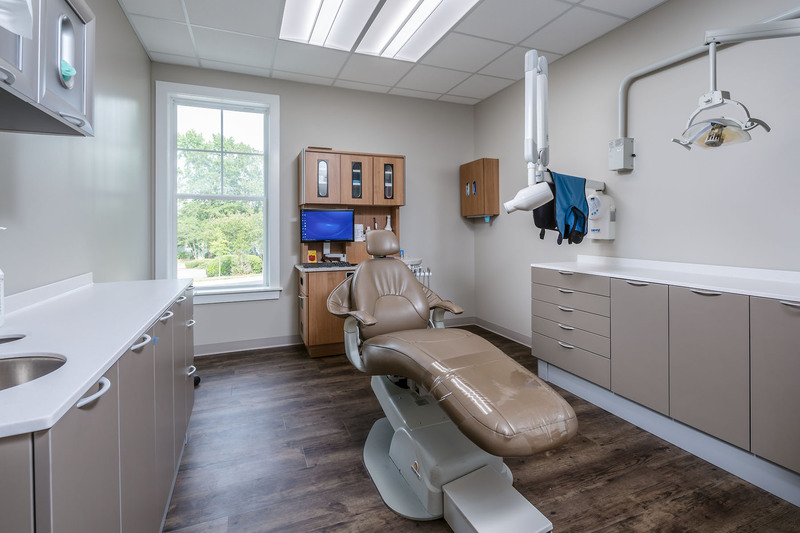 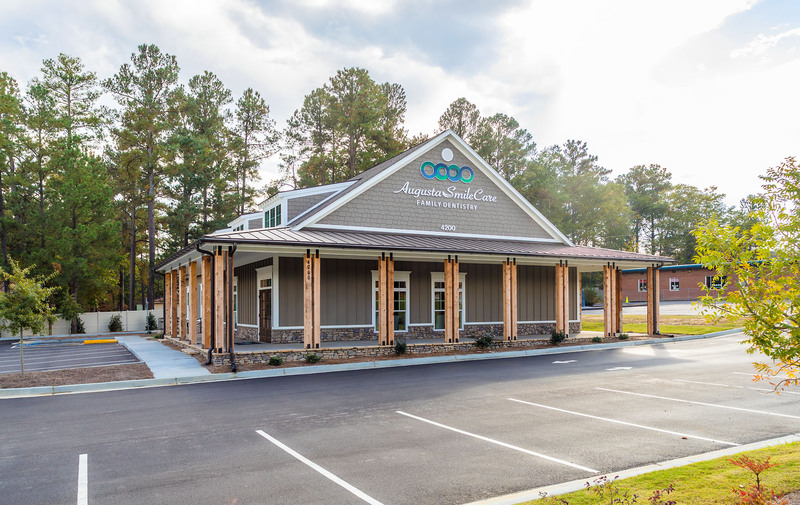 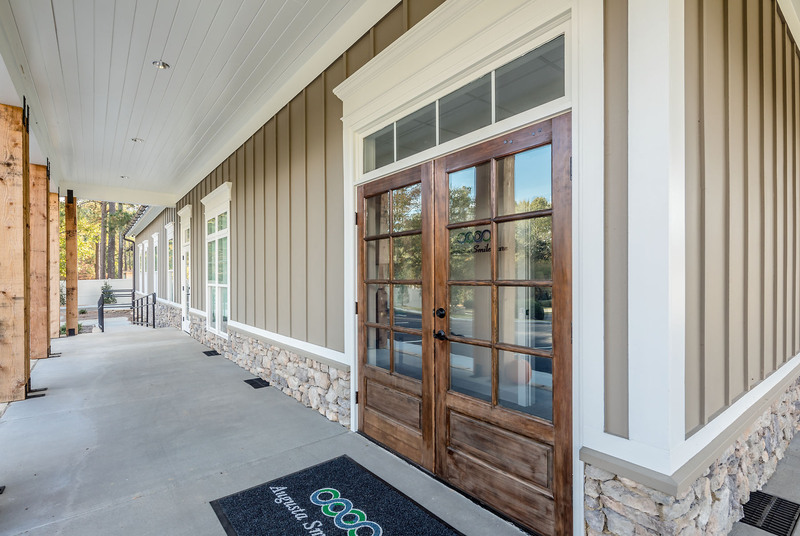 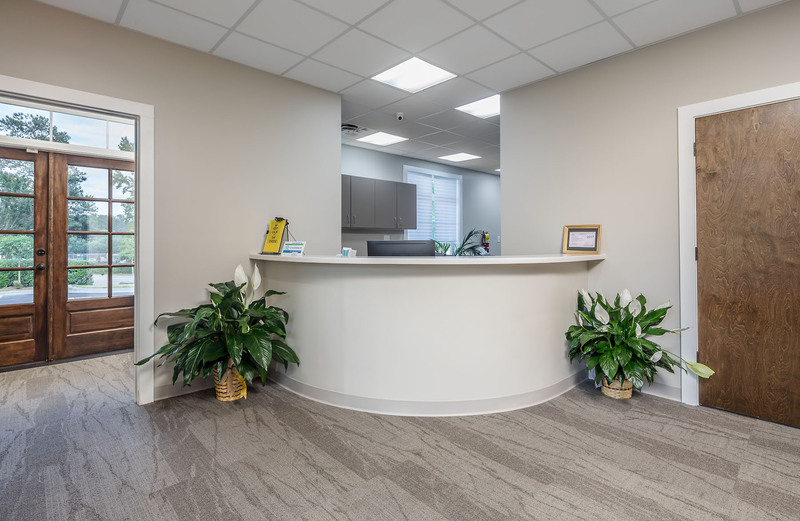 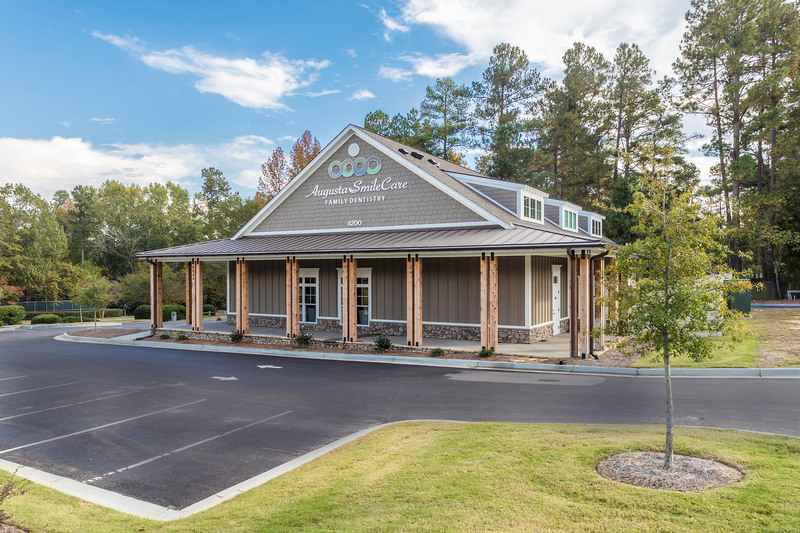 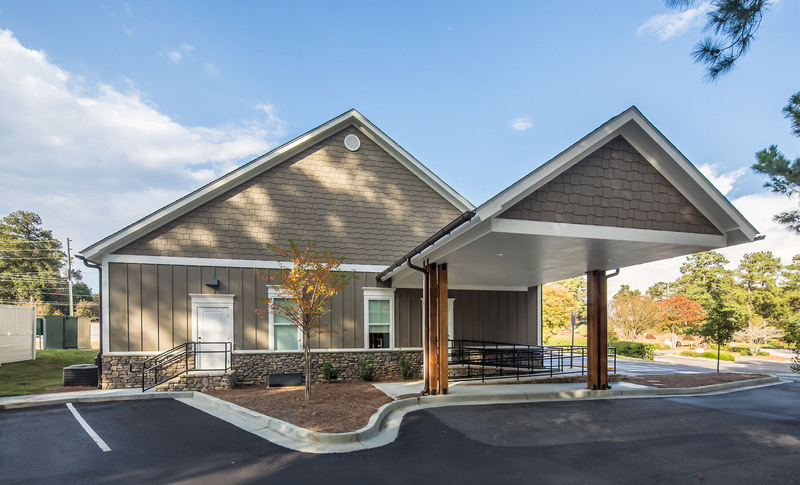 Augusta Smile Care is a 6000 sf dental office building equipped with 10 dental procedure suites. 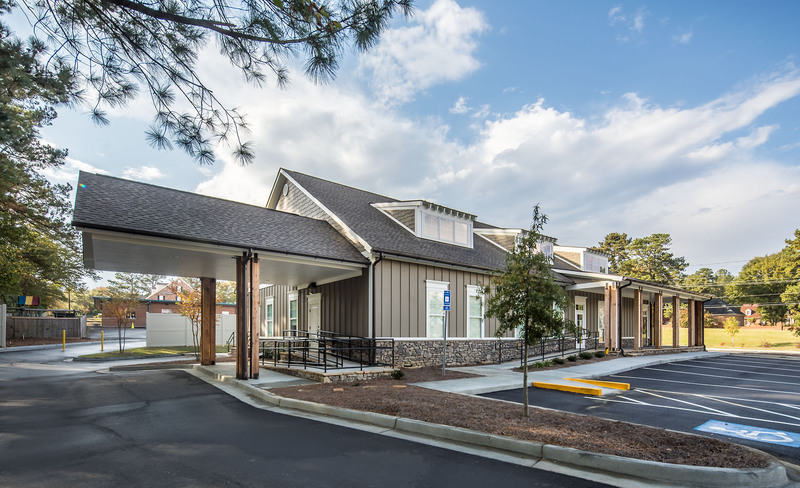 The building has a low country design flare designed by Christopher Booker and Associates, PC. 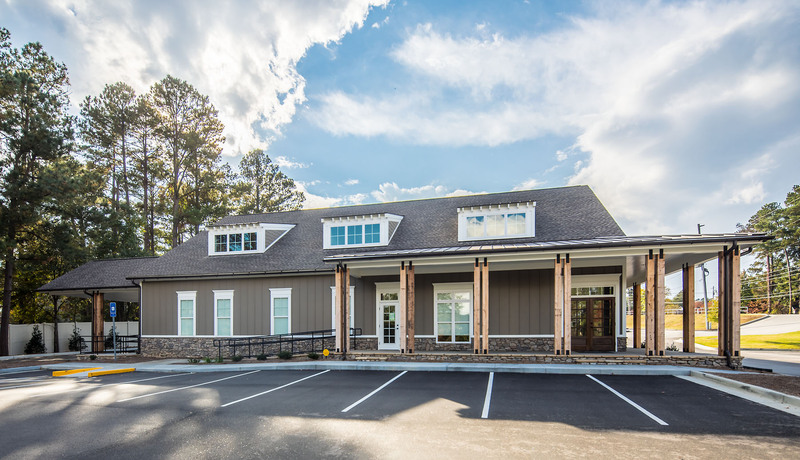 Featuring shed dormers, exposed rustic cedar columns, stacked stone water table veneer, and board and batten siding. 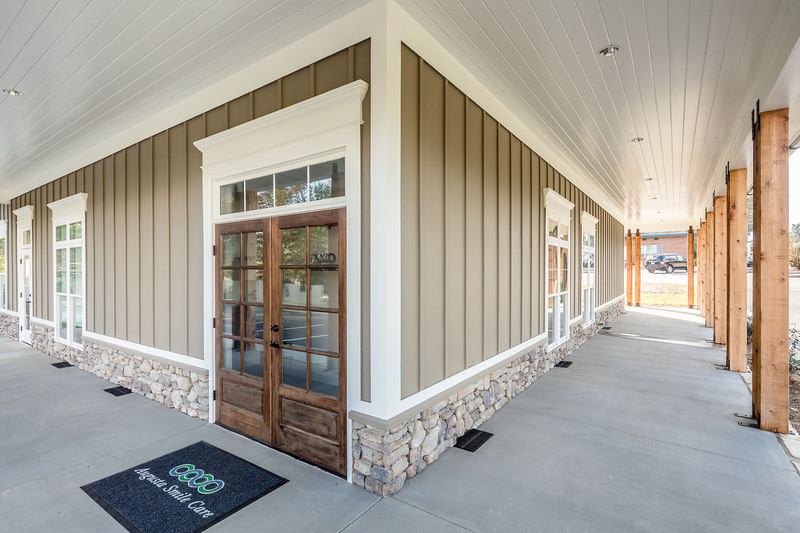 The porches are set of by T&G wood ceilings. 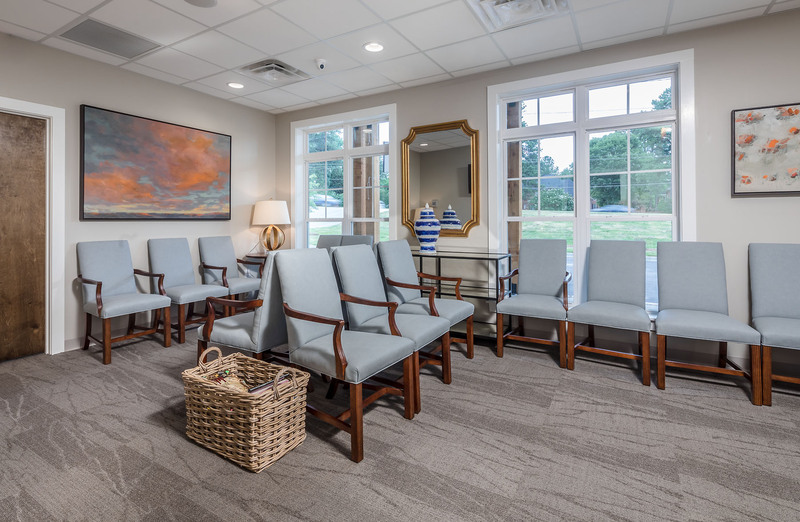 Clients are welcomed with a warm comfortable waiting room. 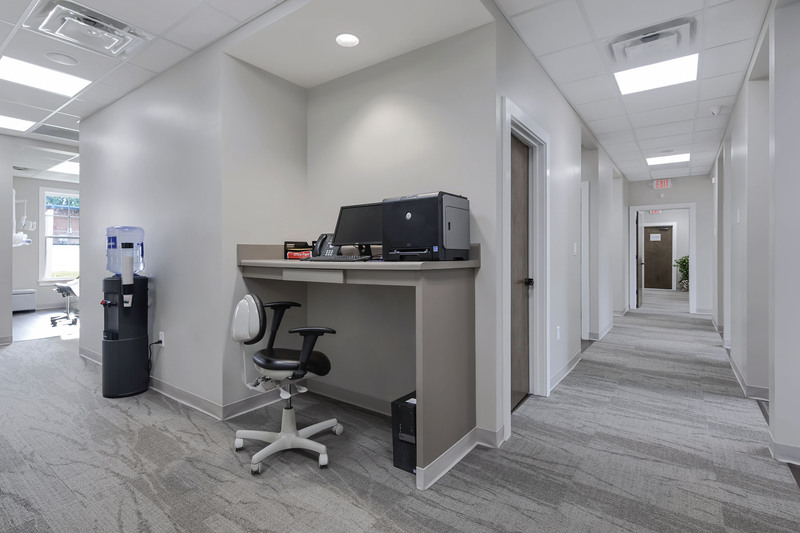 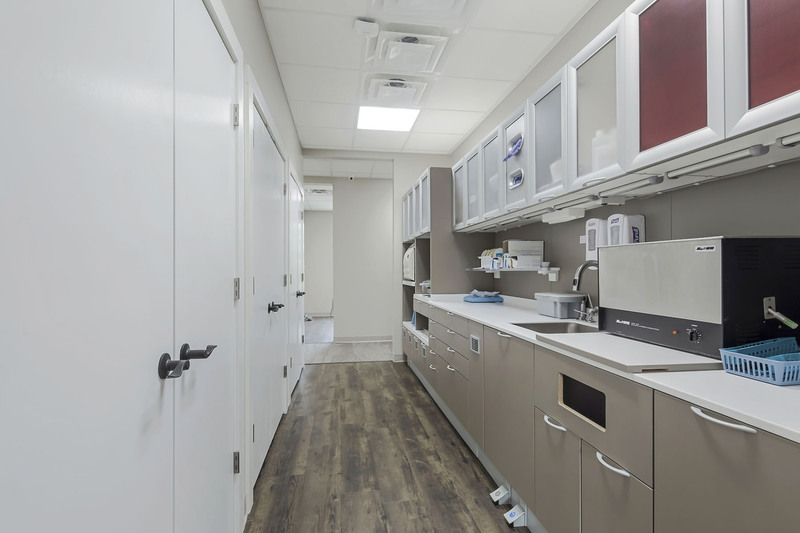 The upstairs consists of three full sized offices, a break room, laundry area, and shower restroom. 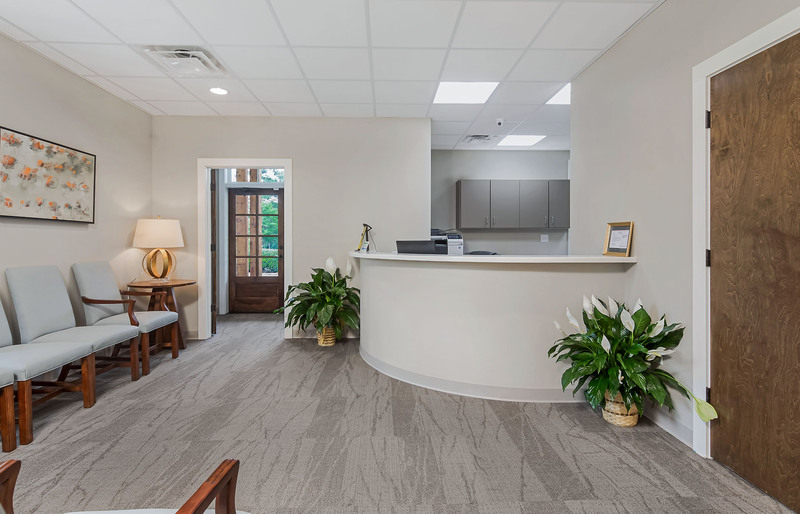 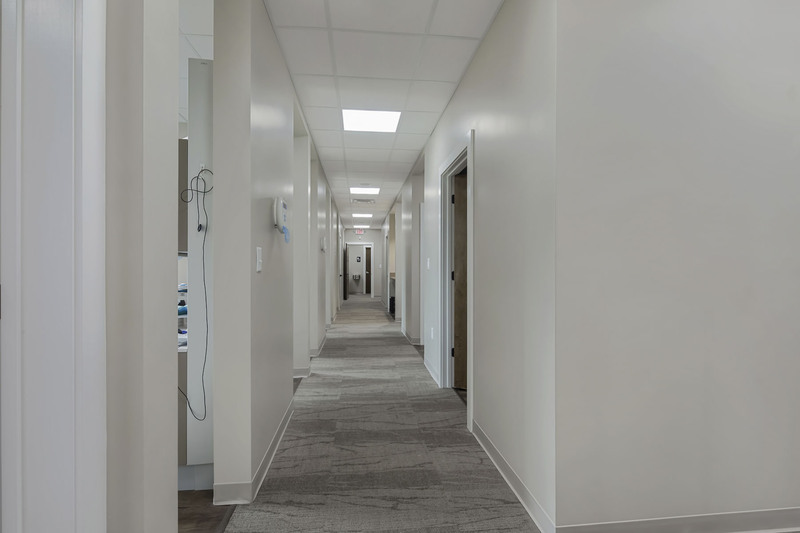 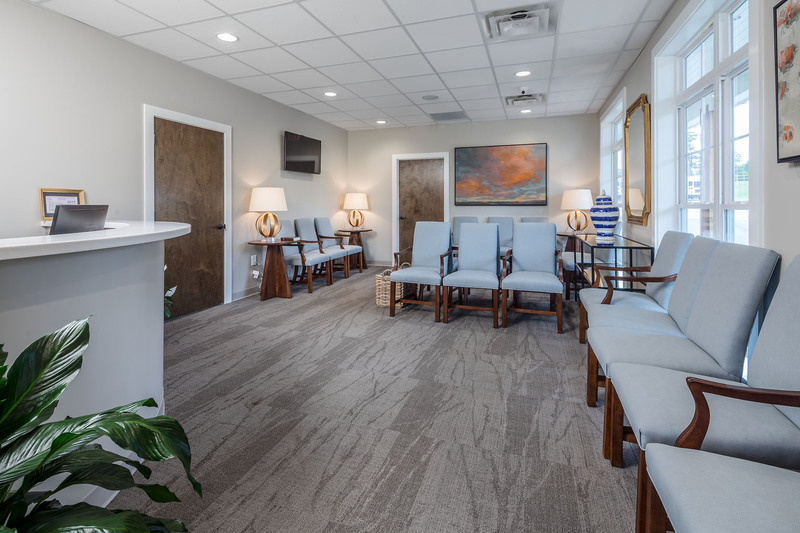 Dr. Massey had a great vision for his new office and Duckworth Development was honored to be a part of making this beautiful building a reality.